Understanding how self works is critical in reading Ruby code. If you ever feel confused or lost when reading a piece of Ruby code, exam what is self in the current context might get you back on track. 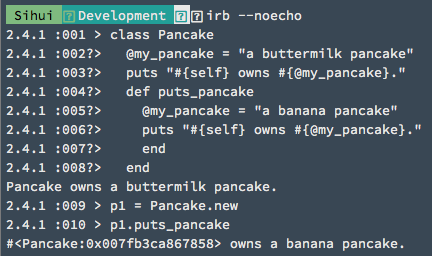 It’s one of those things that once you get it, many Ruby codes will start making sense to you. 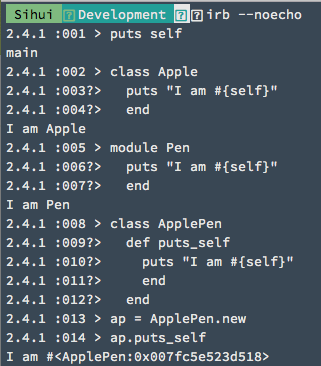 Self is a keyword in Ruby representing the default object of the current context. Being the default object of the current context gives self two privileges. It is the default receiver of messages, meaning calling a_method is the same as calling self.a_method. It is the owner of instance variables. The buttermilk pancake belongs to Pancake, which is an instance of the Class object. The banana pancake belongs to p1, which is an instance of the Pancake object. The example shows that, although both instance variables, @my_pancake, have the same name, they belong to two different self and have two different values. You can determine what is the self in a context using three simple rules. 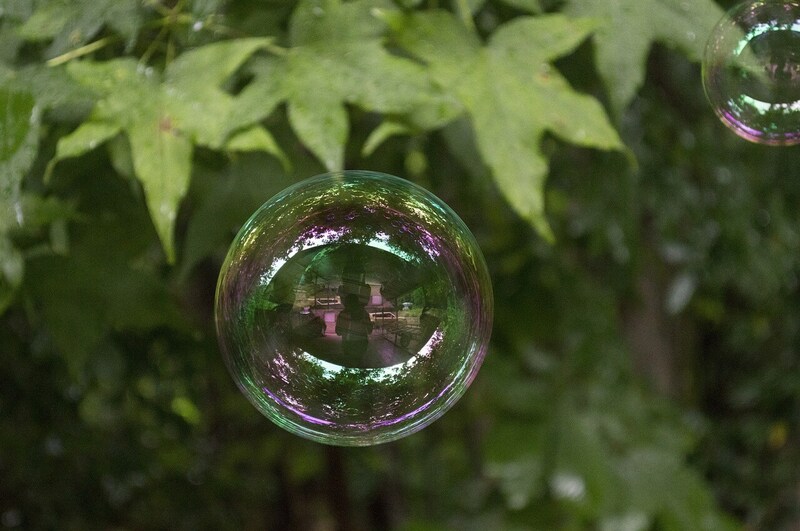 When the current context is outside of any class/module/method definition, self is main. main is the built-in top-level default object. 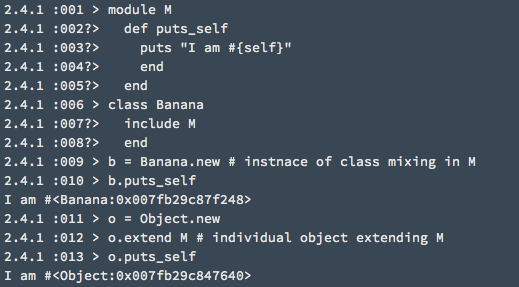 When the current context is inside a class/module definition and outside of method definitions, self is the class/module. When the current context is inside a method definition, self is the receiver of the method, the object before ..
Quiz: what about a top-level method like this one? Answer: self is main in this case because calling puts_self, is the same as calling self.puts_self, and in the top_level of the program, self is main. Besides top-level methods and instance methods in a class, there are two other types of methods: instance methods in a module and singleton methods on a specific object. They all follow the same rule: when the current context is inside a method definition, self is the receiver of the method, meaning the object before ..
? ?You just learned how self works in Ruby!?? Self is the default receiver of messages and the owner of instance variables. Three rules for determining self: a) when the current context is outside of any class/module/method definition, self is main; b) when the current context is inside a class/module definition and outside of method definitions, self is the class/module; c) when the current context is inside a method definition, self is the receiver of the method, the object before ..